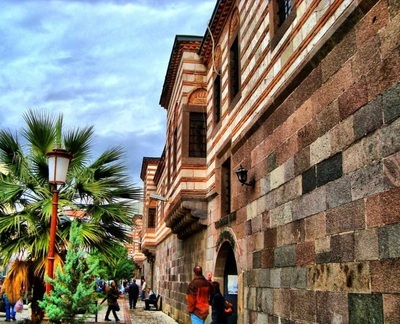 Kemeraltı Mall is the most vibrant shopping center of Izmir for centuries covering a huge area ranging from Mezarlıkbası district to Konak Square. 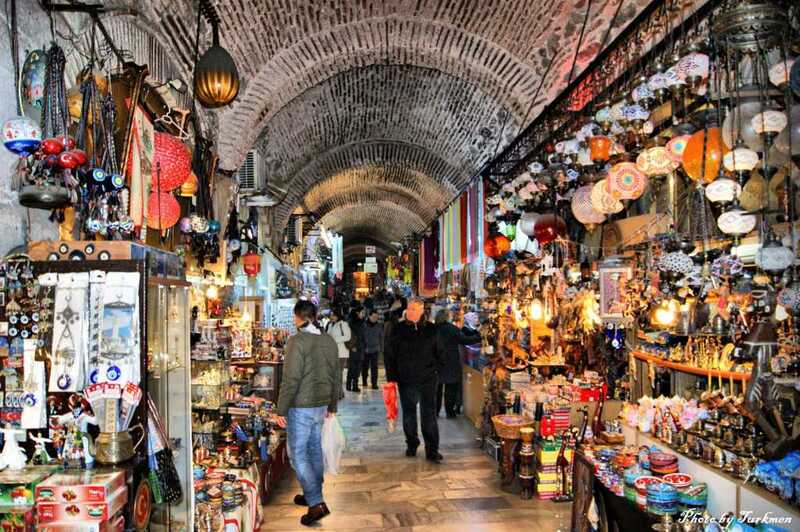 When it was built first in Ottoman period, it used to have a small grand bazaar with vaults so it is called as Kemeraltı in Turkish. 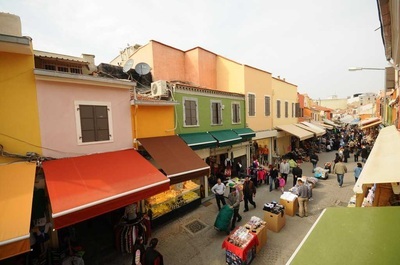 In 17th and 18th centuries French and British merchants first and in 19th C AD Turkish immigrants later from Greece and Aegean Island to Izmir have made a great contribution for enlarging the shopping mall as to be the center of trade in Izmir. It began expanding to a large area throughout the Konak square with a big variety of shops. The first shopping mall was open in between 1650 and 1670 when the sea coast to be filled and the new residential areas have been created. 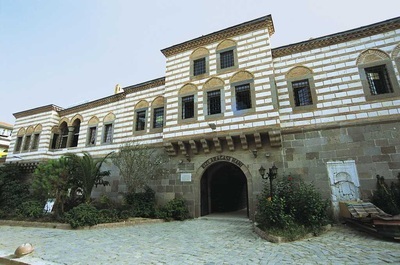 A lot caravanserails and inns have been built here for camel caravan merchants and their animals to spend the nights over in safety. One of the best caravanserails which is open for visitors today is “ Kızlar agası hanı-Master of the girls’ Inn “ built in 1774 by Hacı Besir. 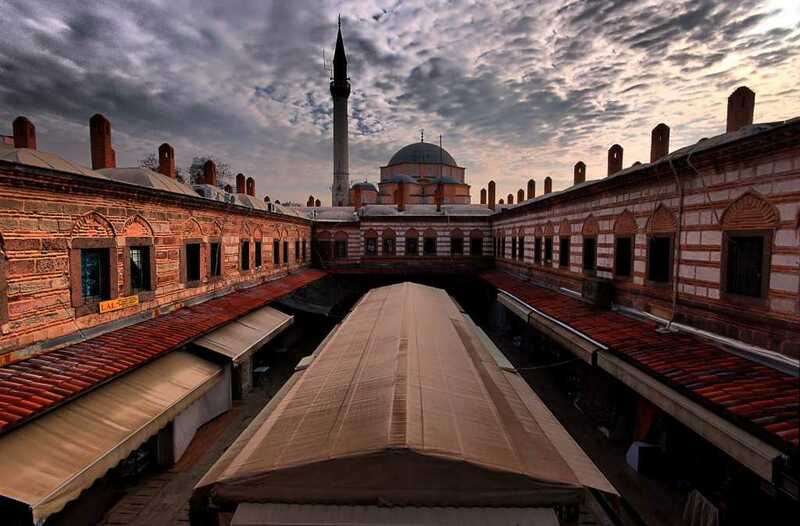 Kemeraltı mall used to be a small model of Grand Bazaar of Istanbul in the beginning with vaulted walls and stores. The mall used to be the commercial center and food market with old inns and bazaars till 1900. 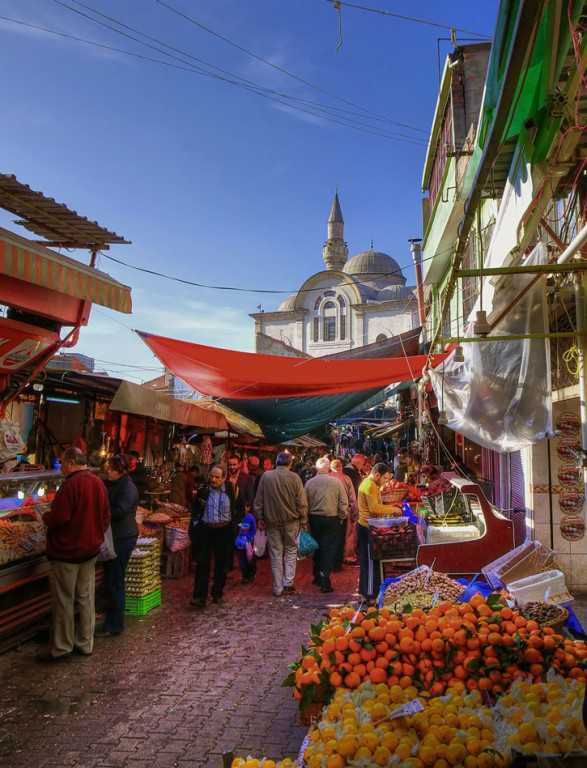 The mall had blacksmiths, charcoal burners, spice shops, herbal stores as pharmacy shops, straw markets, copper masters and so on. Each commercials batchers were created seperate from each other. Today the kemeraltı mall has lost its old feature and has become a major shopping center of Izmir with modern business centers, cafeterias, cinemas, big shopping malls, offices, stores, etc. 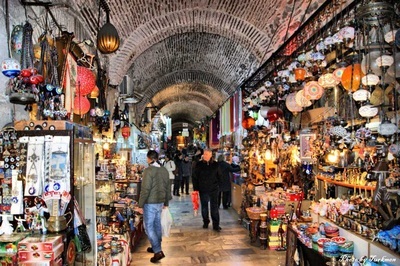 At present visitors coming to this big mall still can find ceramics, tile panels, wood works, metal works, plain-woven mats, carpets and rugs in old part of the mall as the best examples of reflecting Turkish handicrafts.